A very warm welcome to the readers to the cool and pleasant month of November! The previous month was marked by good and not so good news. The good news included the very successful Sarkar Aapke Dwar programme, the long pending appointment of the vice chancellor of Rajiv Gandhi University, Tawang district being adjudged the cleanest district in Northeast India, and Arunachal Pradesh finishing third, behind champion Manipur and Assam, in the first North East Olympic Games held recently in Manipur, with a rich haul of medals. The other good news is about Mission Indradhanush, which aims to ensure 100% immunization of all infants between 0-2 years of age, as well as all pregnant women, against seven vaccine-preventable diseases. Launched in 2014, Mission Indradhanush has been very successful, and may result in most of our children being free from dreaded diseases like polio, TB, measles, Hepatitis B, etc. Among the not so good news are extension of the Disturbed Area and Armed Forces Special Powers Act in three districts of Arunachal Pradesh and eight police stations bordering Assam by another six months, very high diesel and petrol prices, the conflict between the CoSAAP and the state government, the continuing APPSCCE imbroglio, Chinese incursions into Arunachal Pradesh, and the continuing panic over the rampaging Siang river. After the 74-day-long standoff between India and China at Doklam, there have been some cases of incursions into Indian territory by Chinese troops. The latest are reports of intrusion by Chinese troops into Arunachal Pradesh in Dibang Valley district on 22 September. This was after the Chinese incursion in the Tuting sector on 28 December when Chinese workers were found to have illegally built a track 1 km into Indian territory. There seems to be a Chinese angle to many critical issues of our state. This includes the regular panic over the devastation/flood/contamination affecting the Siang river. 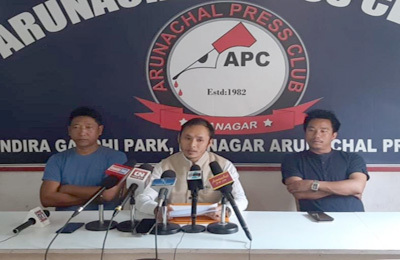 Since a majority of the big rivers of Arunachal and Assam enter from China, events in Tibetan China directly affect the lives and livelihoods of many citizens of Arunachal and Assam. 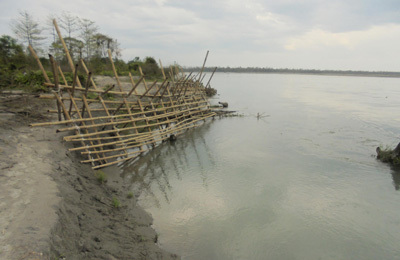 There are many reports that the continuing contamination of the Siang river has led to a rise in the river’s bed, which is leading to large-scale damage to agricultural lands, threatening many villages, roads and bridges, and affecting livestock dependent on the waters of the Siang or the Brahmaputra. Only last month there were two incidents of major blockades of the Tsangpo/Siang after landslides in Tibet. Once the blockades were breached, the waters of the Tsangpo/Siang started overflowing like flashfloods, creating panic among citizens living downstream. On both occasions the local administration was activated, many people shifted to better locations, and the NDRF activated. Arunachalee and Assamese citizens living along the Siang/Brahmaputra cannot live in constant fear of flooding. Like India’s water treaty with Pakistan, India must sign a water sharing treaty with China at the earliest. Indi-Chini bhai bhai!